Surprising no one, Facebook has suspended plans to unveil its AI-powered smart speaker at its F8 developer conference at the beginning of May, reports Bloomberg. That’s because the company is still in the thick of one of the biggest scandals to have rocked the social network; over the past few weeks, it was revealed that a data analytics company was able to use Facebook’s API to gather personal information on 50 million users without their knowledge, so as to target voters with campaign messaging. And more recently, Facebook’s apps were found collecting users’ call and text message logs that dating back years. Launching a smart speaker in this climate certainly wouldn’t help matters much – particularly when many folks are skeptical about bringing an always-on listening device into their homes. Facebook has a lot of work to do in regaining people’s trust before it can ask them for even more data than it’s already collected. Facebook is also yet to prove its mettle in building AI assistants. It’s built M, a bot engine for its Messenger platform that developers can take advantage of for crafting their own solutions, but it’s designed for text and not voice – so the smart speaker would’ve been the first showcase of whatever Facebook’s been working on in that department. 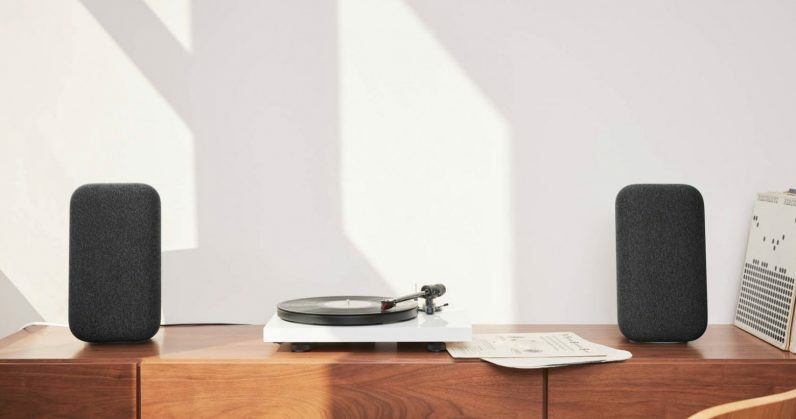 We first heard about Facebook’s consumer hardware plans back in August 2017, when the company was also said to be working on a video chat camera; it had even patented a modular gadget of some sort prior to that. And last month, we learned that Facebook planned to launch two touchscreen-equipped devices à la Amazon’s Echo Show. Google is getting in on that game with a bunch of products from various hardware brands. Strangely enough, Samsung seems like it’ll be the last to enter the arena later this year with its Bixby-powered speaker that we’ve been hearing about for ages, with nothing to show for it.